Who Stays in the House in a Las Vegas divorce? Determining who stays in the house in a divorce and maintains possession of the marital residence can be a sticky problem if both parties are unwilling to move. The solution requires a clear definition of each person’s circumstances, including the best interests of children. From the beginning of your divorce plans, you need to be aware that exclusive possession of marital residence may be awarded pending a divorce action. 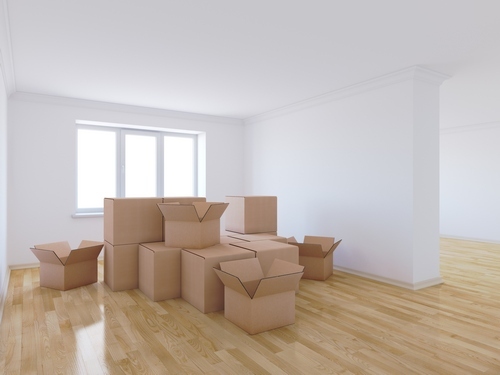 There is a chance you might find yourself moving sometime during the divorce process, not after. This is more likely to happen if your situation involves domestic strife, of if a spouse has already established a separate residence, but extenuating circumstances are unpredictable. It’s best for you to get informed fast. That’s why we over communicate with our clients, early and often. As granting of exclusive possession is flexible, judicial intervention is often possible. This flexibility enables residence to be determined in the way that most reduces strife between spouses, and provides the most mutually beneficial solution. Child custody in particular is a strong deciding factor. The final decision will be made at the courts discretion, as according to Domestic Relations §234. Court discretion can be difficult to overturn on appeal. It’s important to clarify your own decisions and arguments as early as possible. Who will get to stay in the house during and after my divorce? 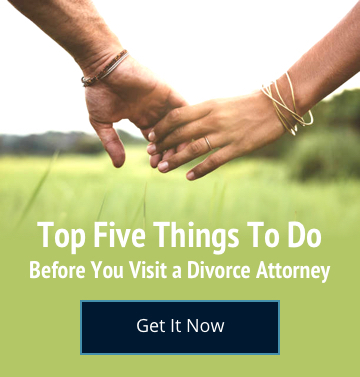 Often, no one will be forced to leave during the divorce process. Only if the court discovers a good reason will anyone be expelled, as in the case of abuse, strife, unhealthy conditions, or similar issues. Of course, you will need to be prepared for any eventuality. After a divorce, one party will be forced to leave. Residence is often awarded along with custody of any children, as the court’s goal in a divorce case involving children will be minimal disruption in their lives. But you cannot count on this, as each case is different. You need to be as informed and proactive as possible to arrive at a favorable decision for you. If at all possible, it’s preferable to negotiate with your spouse ahead of time about exclusive possession of the residence. Only if an agreement cannot be reached through conversation, negotiation, or mediation, will you be forced to let the courts decide. Who Will Get the Possessions in the House? This is a legal question of great importance. We endeavor to fiercely protect the lawful possessions of our clients and seek an equitable distribution of other possessions. If at all possible, we seek to lower marital strife at every stage of a divorce proceeding. Again, as every case is different, this question cannot be answered without more information. Will the Children Stay with the House? A divorce involving custody is a completely different animal than a divorce where only property or emotions are at stake. The court’s primary goal will be to provide a safe and comfortable environment where the child will thrive. The terms of custody are a big influence on whether the children stay with the house or relocate with the custodial parent. Co-parented custody has been granted in certain situations where parents were capable of providing a stable domestic lifestyle for their children. We encourage our clients to discuss this matter at the earliest possible juncture in their divorce proceedings. This helps them understand the extensive difficulties that can arise from the terms of custody they choose. The ages of minor children may also influence the court’s decision on custody as well as the parents’ financial ability to provide adequate housing. Grogg v. Grogg, 15 A.D.2d 802 (3rd Dept. 1989. ): When there is a presence of marital strife, this may be a recognized judiciary standard for awarding exclusive possession. When no dispute between spouses occurs and there is no potential for strife, should a defendant return or an issue arise relating to the marital residence, the court might view the defendant’s exclusion as a minimal disruption and motion to award temporary exclusive possession, without a hearing as the court’s exercise of discretion. Such was the case in Mitzner v. Mitzner, 228 A.D.483 (2nd Dept. 1996). In a 1997 ruling, the defendant was granted temporary exclusive possession of the marital residence. Upon further review, this was found to be a proper action by the Supreme Court. In another case, Block v. Block, 245 A.D.2d 153 (1st Dept. 1997) due to the existence of marital strife admitted by the husband, he elected to establish an alternative residence. Of his own volition, he left the marital residence and thereafter signed a one-year sub-lease for an apartment. In unrebutted expert evidence, it was revealed the potential impact of domestic strife on the wife prior to the husband’s departure and imminent harm to the wife and children should the husband return. In this case, the motion court erred by granting the husband motion for complete access and by not granting the wife a cross-motion for exclusive occupancy of the marital residence. The advice we offer regarding this issue is supported by Domestic Relations Law §234, cited in Annexstein v. Annexstein, 202 A.D.2d 1062, 4th Dept. 1994).